Taking a chance here and throwing my name in the hat of Lawnscaping challenge's DT call. I'm mainly doing it for fun and as I have recently "discovered" the fun with Lawn Fawn and are still waiting to play with the latest release - LOL! I've masked the rain drops (which are stamped with water proof archival ink) and the bottom of the card and sprayed it with LSG, the edge is then hidden behind the twine - am I not clever ;) The rain drops and umbrella is then accented with wink of stella glitter, it came out better then I imagened - doesn't it look wet to you? 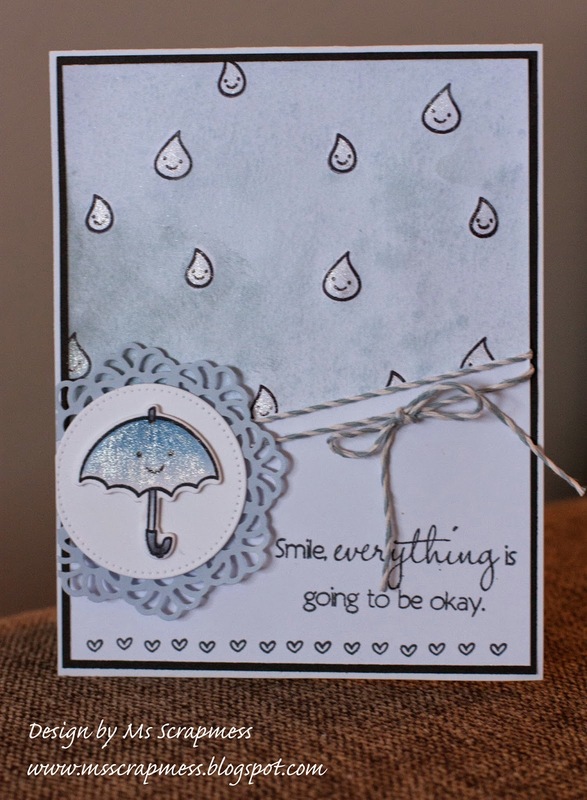 The sentiment is from MFT all smiles stamp set, I thought it was very a appropriate due to the circumstances. The border at the bottom of the card is also a stamp from Lawn Fawn's stamp set, which I stamped repeatedly. 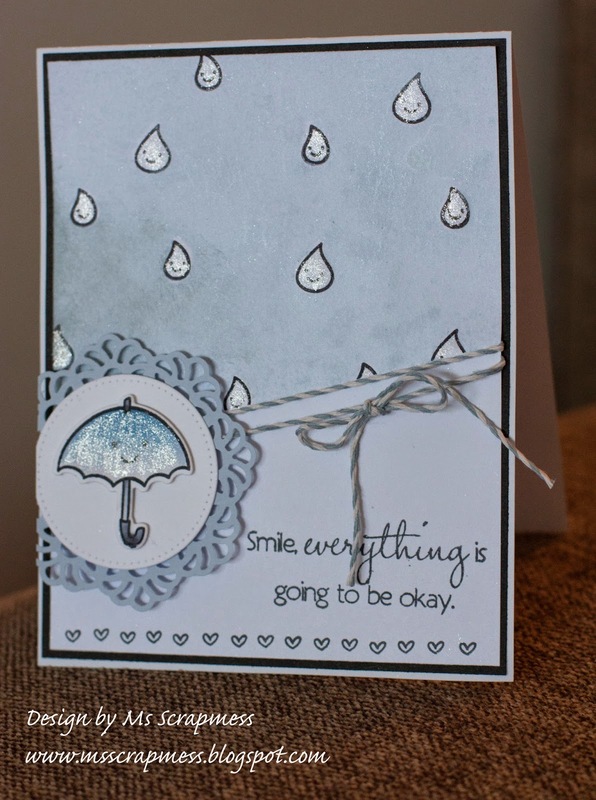 Adorable raindrops and card! Love the shimmery effect! Thanks for playing along with us at Simon Says Stamp Monday Challenge!